1Open and dust your PC at least once a year. Consider it a birthday present for your computer. 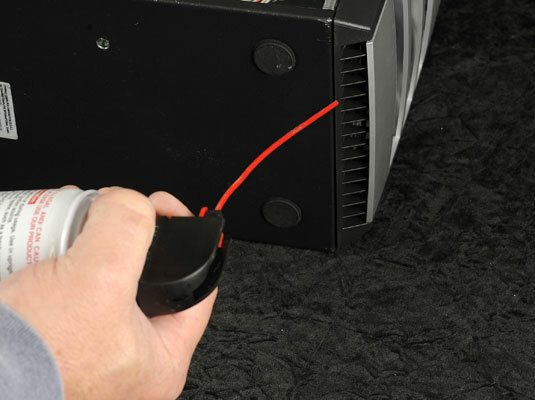 Unscrew or unlatch your PC’s case and use a can of compressed air to blow any accumulated dust from the motherboard, adapter cards, and cables (as shown in this figure). If allowed to accumulate, that dust can act as a heat-retaining blanket over your PC’s circuitry, and overheated components have a significantly shorter lifespan. 2Remove dust that’s settled on the fan blades. Speaking of fans, use your compressed air to get rid of any additional dust on fan blades and within air intake holes (see this figure). To properly ventilate and cool your PC, these openings need to be free of dust bunnies. 3Wipe down your PC’s case and your monitor with a clean, dry cloth every few months. 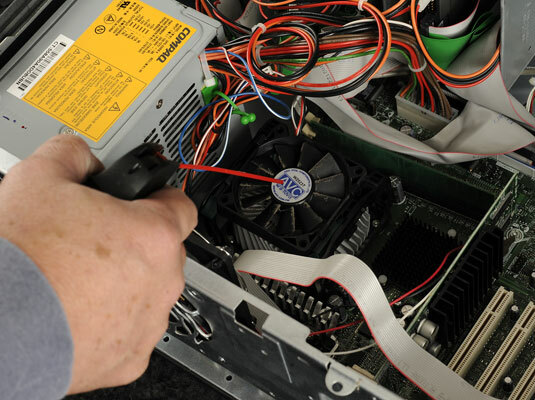 You should never use any household solvents to clean your PC’s case, but antistatic cleaning solutions and cloths are made just for cleaning computer hardware, like the ones shown in this figure.